One of the best-known cars in the world thanks to a star turn in ‘Goldfinger’, the Aston Martin DB5 is consider by many to be Bond’s signature vehicle. 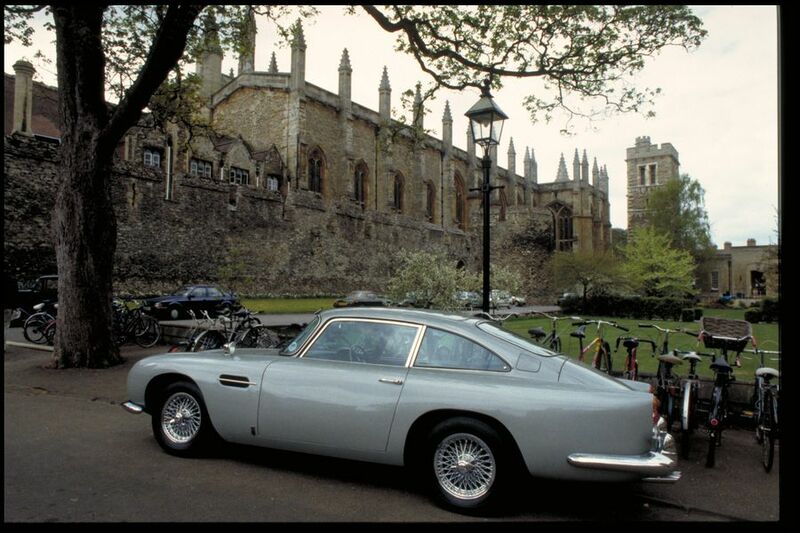 Including cameo appearances, the DB5 has featured in seven films so far. In August 2018, Aston Martin announced plans to build 25 replicas of the Goldfinger DB5. These replicas will include some of the gadgets seen in the film and will cost around £2.75m each. Luckily for you, we’ve got Aston Martins for a fraction of that price. They may not have ejector seats (we hope), but they’re well worth a look. A battered Ford De Luxe convertible is transformed into a systematic, hydromatic, ultramatic greased lighting in 1978’s musical ‘Grease’. Over the course of the film, the convertible saw Danny Zuko to victory in his drag race, and then somehow learned to fly. These days, an original replica is available to rent down in Essex. It doesn’t fly though. 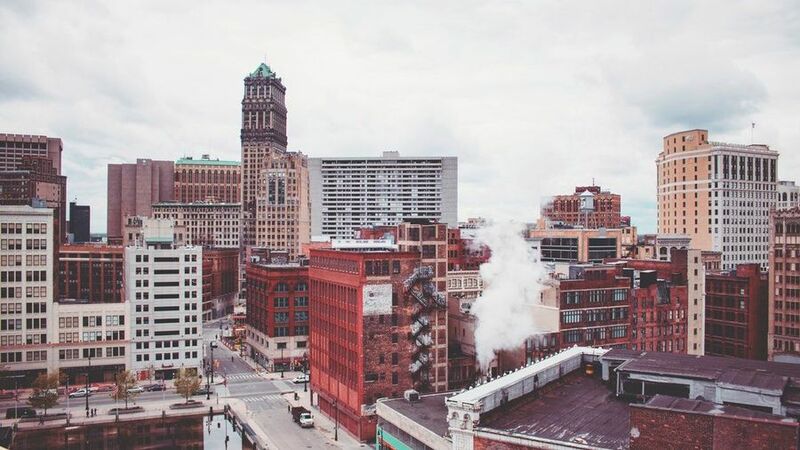 Everyone loves a classic Mini. Without a doubt, their most memorable film roles is in the 1969 heist caper, ‘The Italian Job’. 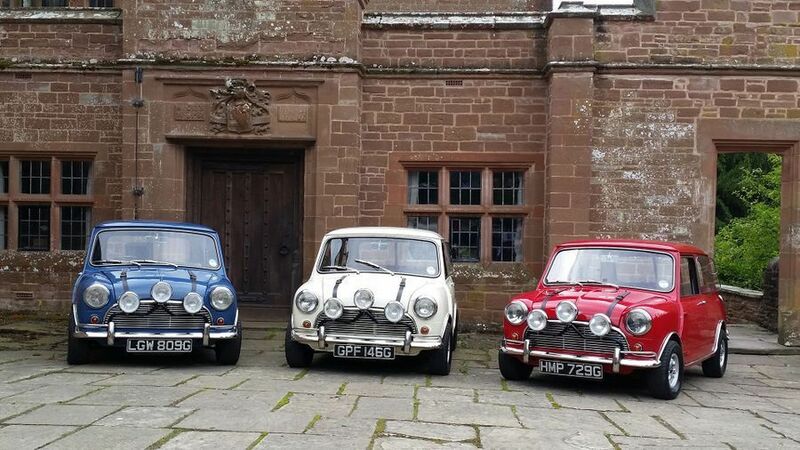 To this day, an annual ‘Italian Job’ charity event runs from England to Northern Italy, featuring Minis and other cars from the film. Minis have gone on to become an icon of 1960s British pop culture and were voted the second most influential car of the 20th century (behind the Ford Model T) in the Car of the Century award in 1999. Better known under another less polite name, this bright yellow Silverado Fleetside found fame as the Bride’s first vehicle on her road to revenge. The Wagon has also nabbed guest spots in music videos from Missy Elliot (‘I’m Really Hot’) and Lady Gaga (‘Telephone feat. Beyoncé’), and is now owned by Kill Bill’s director, Quentin Tarantino. Fancy a spin? Find used and new Chevrolet Pickups on Auto Trader UK. Stephen King’s possessed Plymouth Fury terrorised Detroit in 1983’s novel/cult-classic horror movie ‘Christine’. The Fury was produced from 1955 to 1989, and Christine herself was a custom 1958 make. Only two of the 20 cars used in the film still exist, and they’re both in the hands of collectors. Starsky’s beloved Torino is as famous as the human stars of the show. It became one of the most recognisable cars in America during the show’s 1970s heyday. Due to the show’s popularity, Ford produced 1,302 of the 1976 Gran Torino to meet demand. Nowadays, fewer than 100 are thought to still exist. 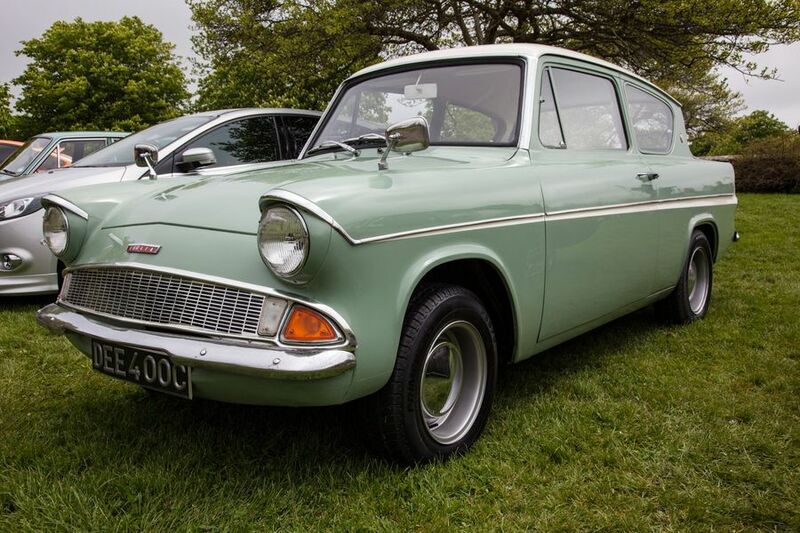 Explore Auto Trader’s range of classic Ford cars. The Griswold Family Truckster was created especially for the film, but it was based on the real-world 1979 Ford LTD Country Squire station wagon. The station wagon was the seventh and final generation of Ford’s Country Squires, which were discontinued in the 1990s – partly in response to the rising popularity of SUVs. Take a look at the used and new SUVs available on Auto Trader today. 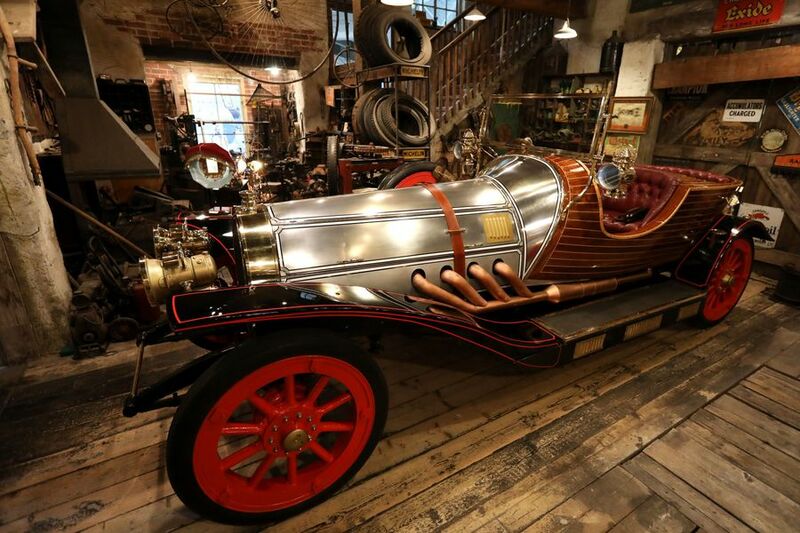 In the film, the 12-cylinder, 8.0-litre supercharged Paragon Panther was saved from scrap by Caractacus Potts. Rebuilt and renamed Chitty Chitty Bang Bang after its unusual engine noise, it went on to float on water and even fly. The original novel was written by Ian Fleming (creator of James Bond), and the 1968 screenplay was co-written by Ken Hughes and famous children’s author Roald Dahl. ‘Vanishing Point’ remains one of the quintessential films of the carsploitation genre (films that feature scenes of cars racing and crashing. They were popular in the 1970s and 1980s). Trying to get from Denver to San Francisco in just 15 hours, the Dodge Challenger R/T stars in one of the longest car chases in movie history. While we don’t encourage you to emulate the film, you can buy a Dodge Challenger on Auto Trader today. This beast of a vehicle featured in the 2015 Mad Max film. Built with a custom chassis, the body is made of two 1959 Cadillac Coupe de Villes sitting on top of each other. The 1959 Cadillac model was visually striking thanks to sharp tailfins and dual bullet tail lights. The Gigahorse one-ups this somewhat thanks to the casual addition of twin V16 engines and a mounted flamethrower. The iconic T2 Microbus takes centre stage in 2006’s ‘Little Miss Sunshine’. Over the course of the 800-mile road trip, the aging T2 tests its passengers with several breakdowns and mechanical failures. 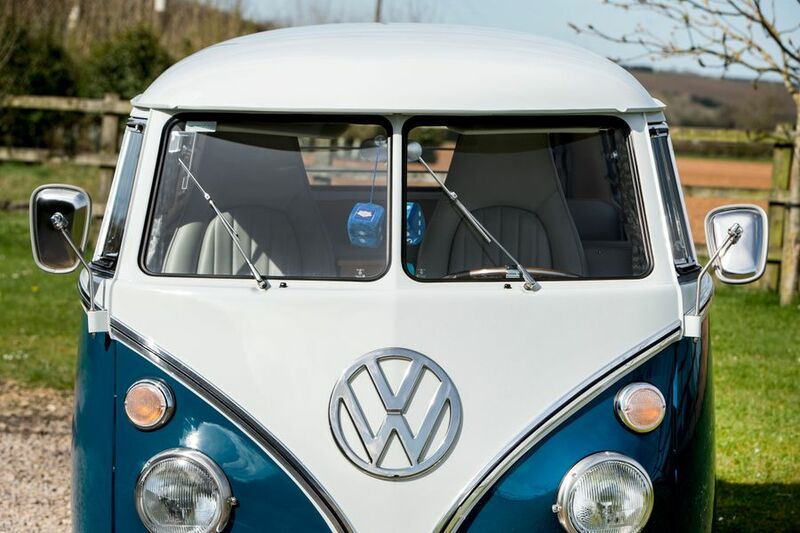 Fortunately, not all VWs are as unreliable, and you can pick up your very own motorhome on Auto Trader. Touted as the ‘first wide small car’ when it debuted, the AMC Pacer found another generation of fans in 1992 when a bright blue model with flame decals starred in ‘Wayne’s World’. The ‘Mirth-Mobile’ sold at auction a couple of years ago for a hefty $37,400 (£29,000). Schwing! Bumblebee first appeared on film as a second-generation 1977 Chevy Camaro, before converting into a fifth-generation later down the line. The Camaro is considered one of the best classic American muscle cars. In his recent, self-titled, movie and original cartoon appearances, however, Bumblebee disguises himself as a VW Beetle. There have been some iconic Batmobiles over the years, but the tank-esque Tumbler gets a spot for two reasons: it looks awesome, and it’s real. Built with 37-inch off-road tires, carbon-fibre body panels and a Chevy V8 engine that can do 0-60mph in 5.0 seconds, the Tumbler is a cross between a Lamborghini and a tank. It looked very different as a proof-of-concept model, however, which Christopher Nolan admitted he made from Play-Doh. Originally chosen for how practical it would be to film, the Thunderbird has secured its place in film history as the stylish ride for Thelma and Louise. Five cars were used in the film, including two for stunts and one just for exterior shots. Unusually for a car on film, no customisations were needed for filming: the car on screen is the same as one on the showroom floor. One of the Thunderbirds sold at auction for €71,500 (£63,000), although it was signed by both Brad Pitt and Geena Davis. Another one of the film’s cars sold in Italy for €30,680 (£27,000). You can find your very own Ford Thunderbird on Auto Trader. The Ecto-1, alongside the Proton Pack, Giga meter and more, was designed by Stephen Dane for 1984’s Ghostbusters. The vehicle was based on a 1959 Cadillac chassis, built by the Miller-Meteor company. 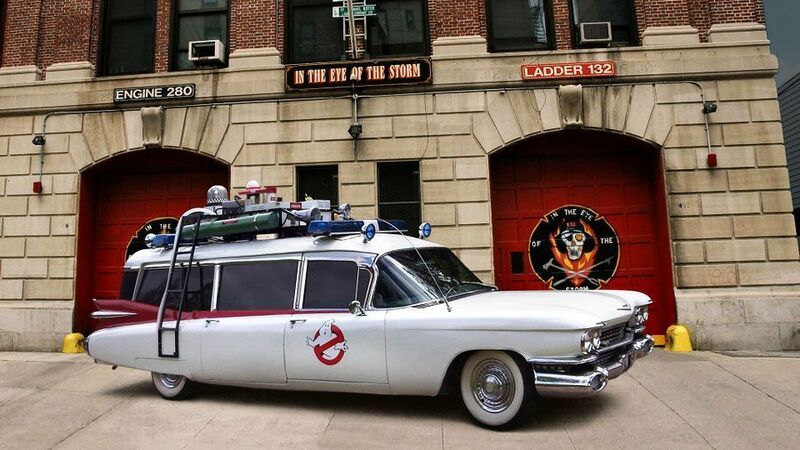 After being used for promotional purposes, getting crashed into by a park vehicle at Universal Studios, and being left on the back car park at Sony, the Ecto-1 was bought and restored by a fan movement, while faithful replicas sell at auction for tens of thousands. Spare a thought for the poor Ford Explorers, which took such a beating in 1993’s Jurassic Park that three dumpsters had been filled with parts by the time filming had ended. Fun fact: these cars weren’t automated. The driver was just hiding in the boot and watching the road through a small TV. 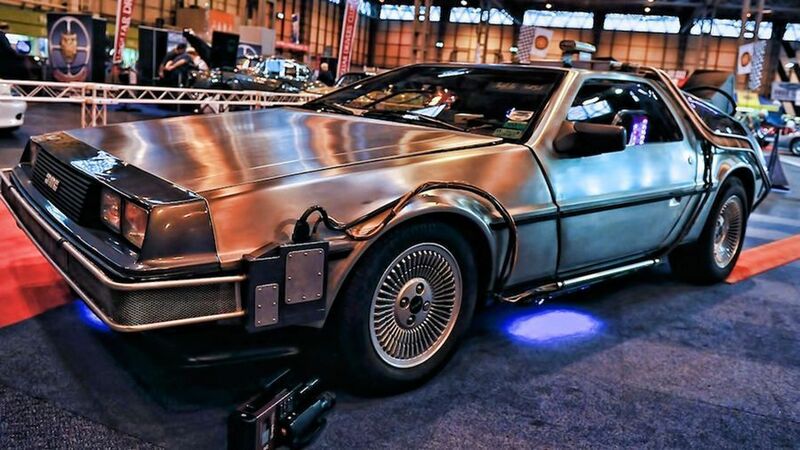 The DeLorean is one of the most recognisable movie cars, but it was a flop when it debuted in the 1980s. Despite its retro-futurist design by Giorgetto Giugiaro, the DeLorean was let down by a weak engine. In the film, they replaced the exhaust sound of the V6 with the V8 from a Porsche 928. Nowadays, there’s a new DeLorean Motor Company dedicated to restoring and improving these cult cars. No word on whether they’ve got a flux capacitor working yet though. The Mutt Cutts van was a customised (to put it lightly) 1984 Ford Econoline. The wagon stood out thanks to its tan carpet interior and exterior, complete with a rear leg that needed lifting to reach the petrol cap. Fancy a Ford motorhome?  Take a look at the used and new options on Auto Trader. Eleanor is one of the true stars of H.B. Halicki’s 1974 classic ‘Gone in 60 Seconds’, and the 2000 remake. In the original, she’s a customised 1971 Ford Mustang Sportsroof (designed to look like the 1973 model), and the only Mustang in history to receive a star title credit in a movie. 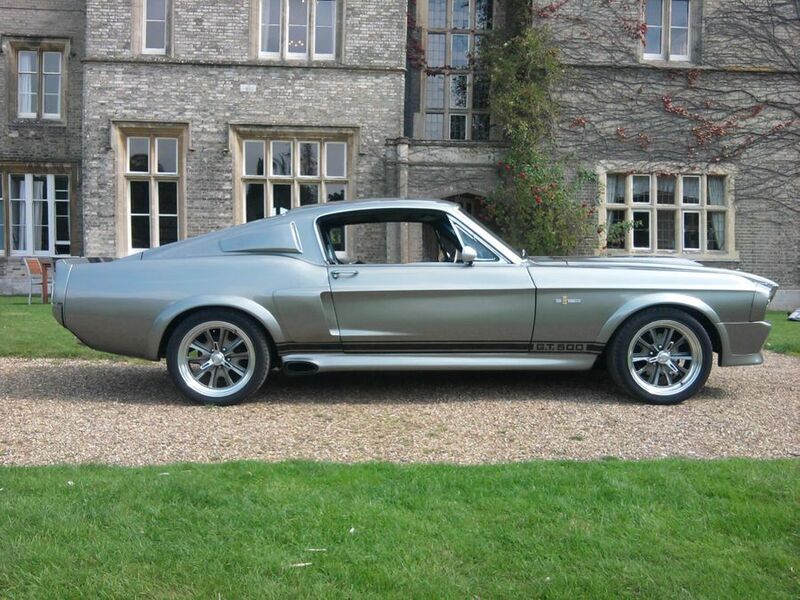 In the 2000 remake, she’s a 1967 Shelby Mustang GT500. Although 11 replicas were made for filming, only three survived and have all been sold at auctions. Take a look at the used and new Ford Mustangs in stock today. Mystery Inc’s iconic vehicle has starred in five live action films and more than 40 animated movies and features. The original Mystery Machine from the animated series was thought to be a VW Microbus, but various internet sleuths have proved this to be wrong… it’s more likely a hybrid of several things. The first live-action film from 2004 used a 1994 Chevrolet G20 cargo van. 16 different Ford Anglias were used to film Harry and Ron’s journey to Hogwarts in the second Harry Potter film. Some were cut in half to allow for filming, while others were left in various stages of disrepair after the fight with the Whomping Willow. Matthew McConaughey starred in 2011’s neo-noir thriller as a criminal defence attorney who operates from the back of a chauffeured Lincoln Town Car. A luxury Cartier edition was chosen for the film, with two cars being used for outside shots and one being modified to better suit internal filming. Walt Kowalski’s beloved dark green Gran Torino took centre stage in 2008’s drama of the same name. The car itself was named after the city of Turin and was in production from 1968 to 1976. There aren’t many Torinos in existence today, but the one in the film is part of director and star, Clint Eastwood’s, personal collection. Even though all branding was removed in the first film, Herbie the Love Bug has gone on to become one of the most famous VW Beetles in the world. More than 100 cars were used across the five films, which saw the sentient car travel the world and compete in a number of high-profile races. So many famous cars, so little time. Here's some more classic film star cars.